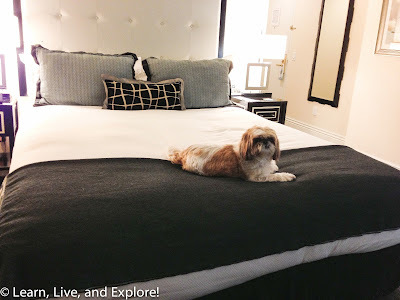 A(nother) Weekend in NYC ~ Learn, Live, and Explore! It's been a few months, so I thought I would make the four hour (traffic permitting) trip up I-95 to NYC for the weekend to see some shows on Broadway and meander around the lower half of the island a little. 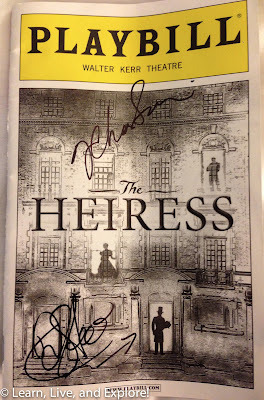 First on the show agenda was The Heiress - starring Jessica Chastain (The Help, Zero Dark Thirty), Dan Stevens (Downton Abbey), and David Strathairn (look him up, you'll recognize the face). The play is based off of the Henry James novel, Washington Square. 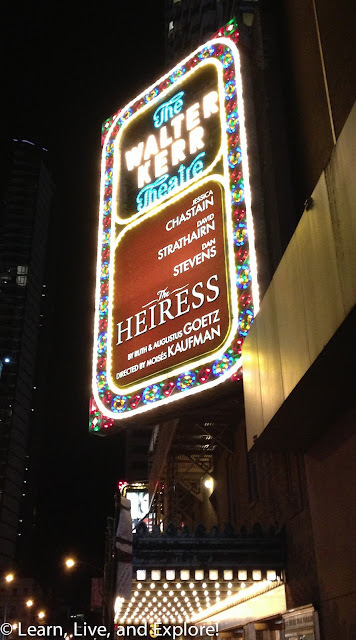 Set in the 1880s, the story centers around a shy daughter of a prominent New York doctor, Catherine, who doesn't have many suitors because of her lack of charm, grace, and beauty. Meanwhile, she must live with her father who is disappointed, and a bit resentful, that his daughter has grown up to be nothing like his wife, something he feels his daughter owes him since she was the only one who survived the childbirth process. One day, a distant cousin of her own cousin's fiancee is introduced to Catherine. He is poor, having spent all of a recent inheritance on a lavish holiday in Europe, and is dependent on his widowed sister's hospitality. Upon seeing the grand state of Catherine's home, the audience begins the back and forth journey of guessing whether he decides to pursue Catherine for her money and his preference for opulence or for love. 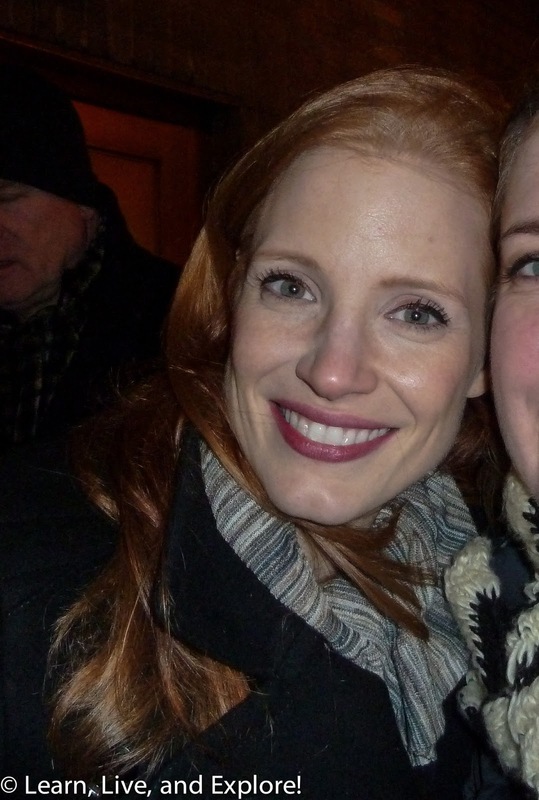 After the show, I decided to wait by the stage door to get an opportunity to meet the actors. This is a great thing about NYC and Broadway - the ability to express your appreciation directly to the actors. 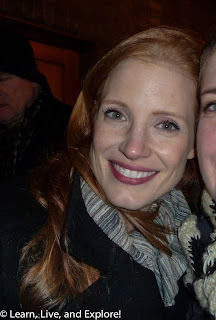 Both Jessica Chastain and Dan Stevens were very friendly and took time to visit with everyone who had waited in the windy cold that night. 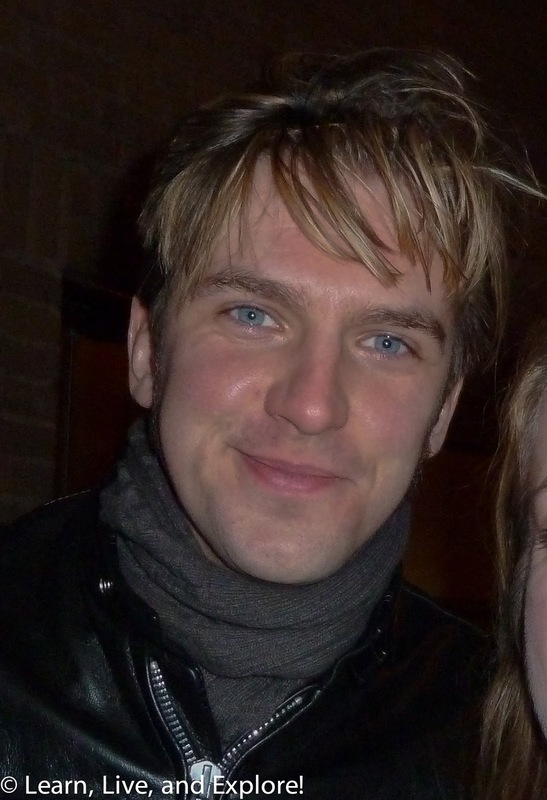 I thought it was funny that Dan Stevens signed the playbill with an arrow pointing to his shadowy character. 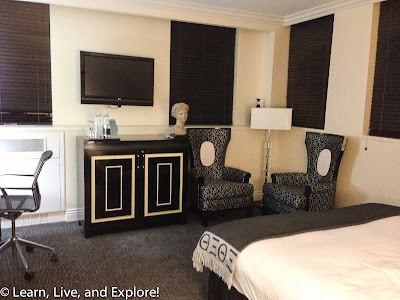 The next day, I decided to visit Washington Square and tour the Merchant's House Museum, located a few blocks away, to round out the play experience. 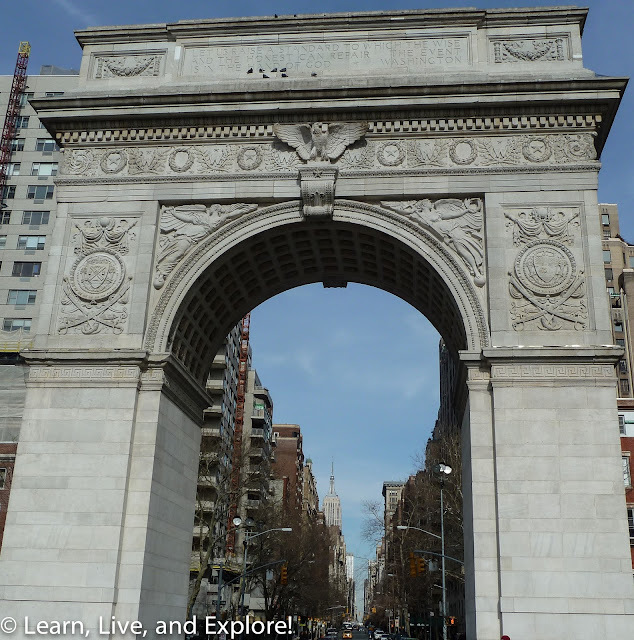 Washington Square is next to the NYU campus and houses the famous arc de triomphe-like NY landmark. This was the setting for the previous night's play, though none of the original homes remain. 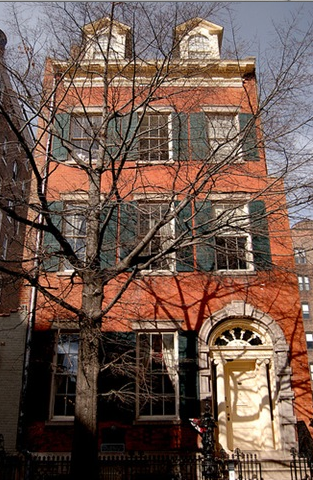 At 29 E. 4th Street, what would have been "uptown" in the mid-1800s where the wealthy lived, is the former house of Seabury Tredwell, a successful merchant of imported hardware. 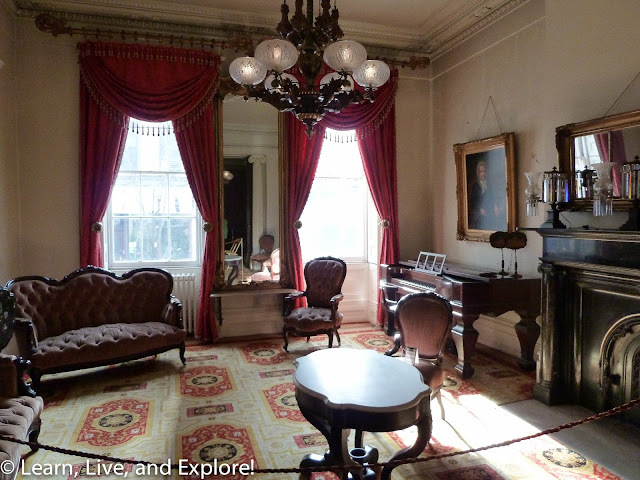 The house was built in 1832 as a spec house by the genteman who lived next door. It was purchased by Tredwell in 1835 for $18,000, a very large sum for the time, and remained the family's residence for over 100 years. 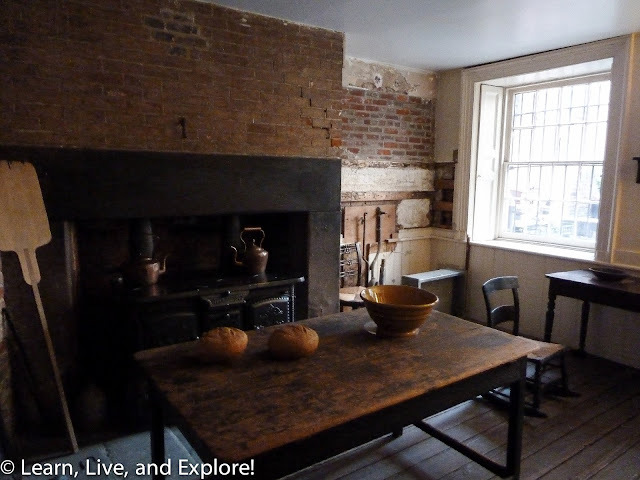 A majority of the items inside the house are original family possessions, and the museum serves to educate the modern public on what life was like in the 1800s - no heat, no plumbing, no running water, coal fireplaces, gas lamps, etc. Admission is $10, and all tours are self-guided (large notebook of stories is given) or there is one 2pm guided tour. The second Broadway night was spent seeing the 2012 Tony Award-winning musical, Once. 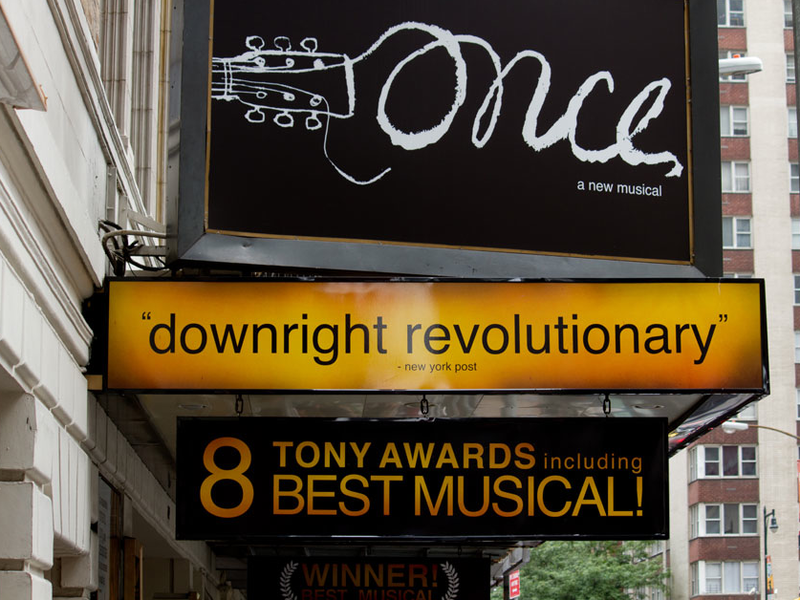 Based on the 2006 movie of the same name, this show tells the story of an Irish musician who is down on his luck and finds hope from a stranger, one day, who hears him playing in the street. This stranger is a Czech woman who has her own problems, but has an infectious enthusiasm for music and inspires the guy (literally, the character's name is Guy) to pursue his dreams and record his songs. 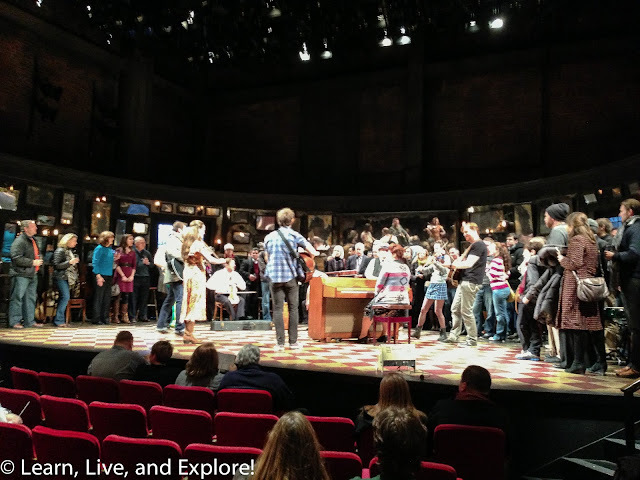 I wish I had known that, before the show, the cast has a regular jam session on the stage, and the audience is encouraged to join them and drink a pint (or whatever the theater is allowed to serve) on the pub set as they sing and dance their way through Irish folk songs. I would have arrived a lot earlier than my normal 10 minutes before the show!